Minor update! Holidays are coming and painting is on hold until it warms up. 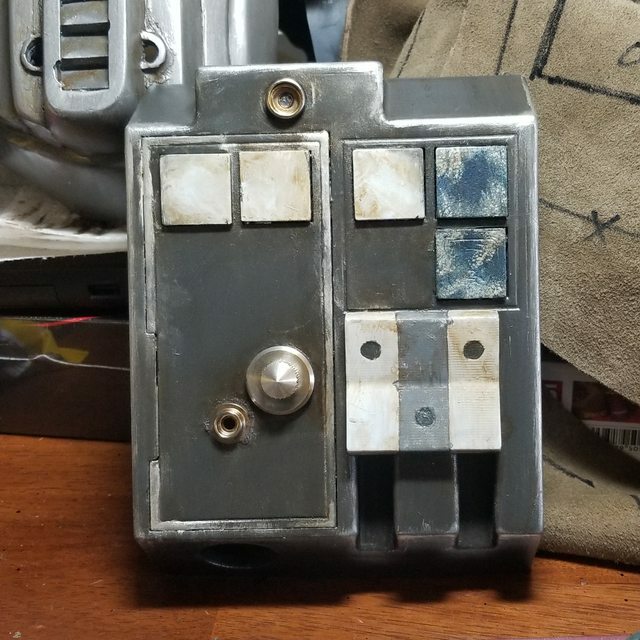 I've decided to have the Edrio belt commissioned and crafted by Mike at http://deltaleatherworks.com/. 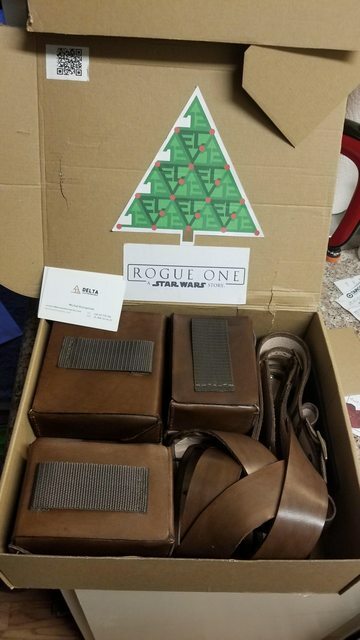 He's done some stellar work and I personally have his ESB Boba Fett holster and ammo belt. 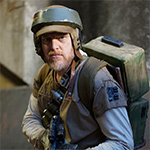 The Edrio and Benthic belts are near the same, save a few pouches and the sporin. I may use the bison hide for the sporin. 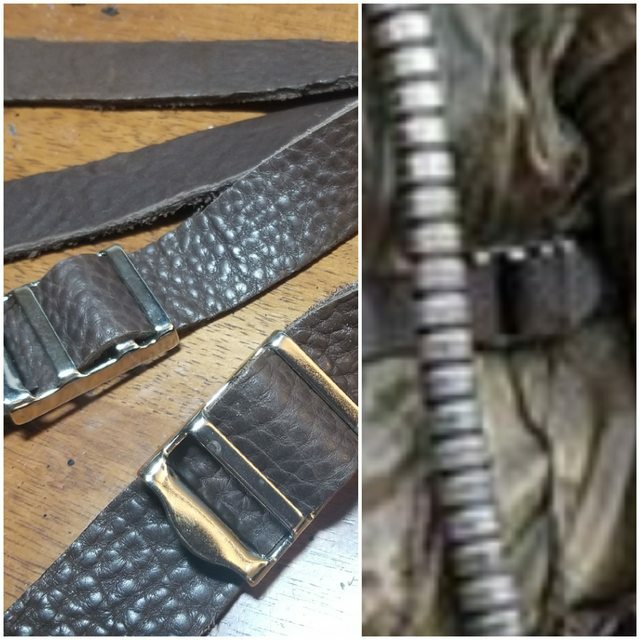 It's clearly a different leather from the veg tanned hide belt. That should be in hand by January. I've made a few 1 inch strips from the bison hide for the chest box and tried to match the buckle. I picked this up when I ordered my backpack strapping, so this will do until I find a suitable replacement. 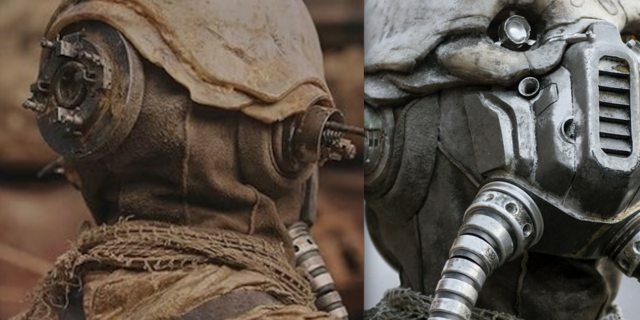 At closer inspection, the cast helmet I have has a longer breather that the screen used mask. 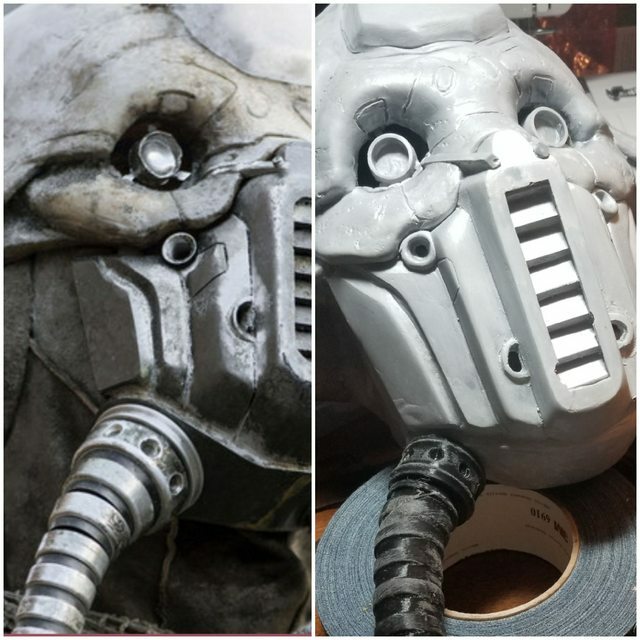 I printed the tube connector instead of fabricating one and will attach the vinyl host as it tapers. Just going to use a pressure fit so if the hoses snag or someone tugs on it, it'll just pop out and not pull my head down. Then I can begin gasping for air and die on the floor. That should be fun to do. Excited to have finished printing all 10 end caps for Benthic's backpack. 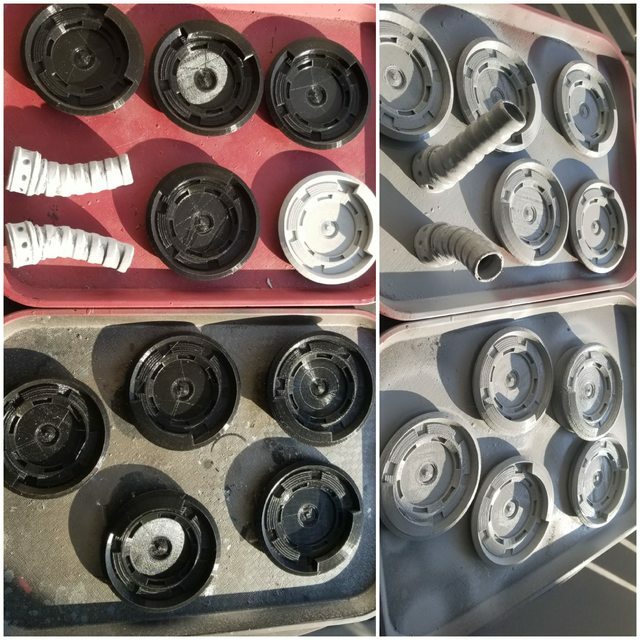 Got them lightly sanded and primed today along with the tube connectors. Last update is the neck balaclava. Here are the shots I'll be using as reference. I picked up some suede from a retail leather shop here, Tandy Leather Factory, in what I guess is the correct shade with some weathering too. 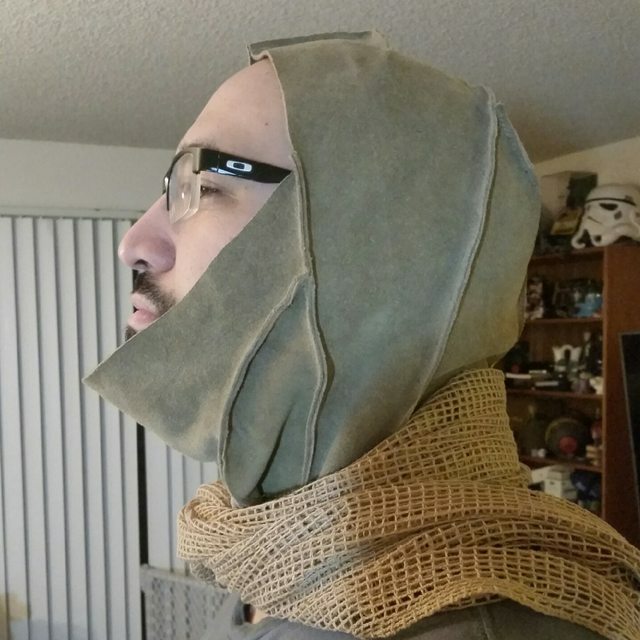 My wife gave me a hand shaping the neck balaclava thing. We wrapped my head in Saran Wrap then wrapped it in masking tape. 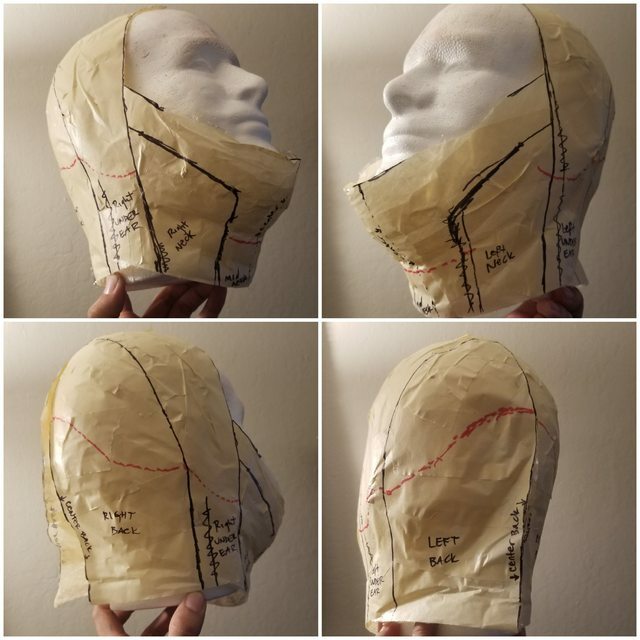 After the appropriate shape was settled on, using the reference photos, my wife sketched out the visible sewn sections and measured the distances to even it out. Since I don't have any references under the skull cap, she traced it out in a way that makes sense to stitch together. The red line is where the helmet sits and each section is labeled for cutting. 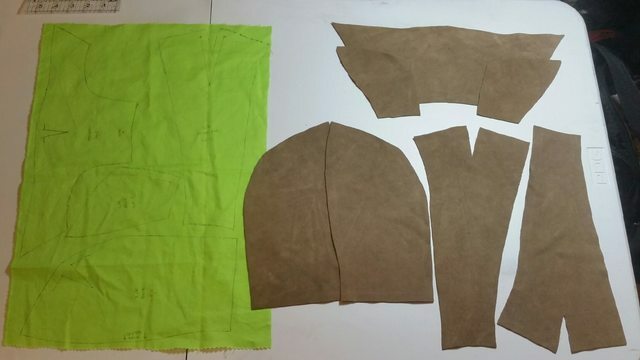 Once I get some time I'll chop up the head and lay out the pattern on the suede, cut it out and stitch it up. Should be a good update coming next time. So much more to go. Wear a helmet. Don't say a word. 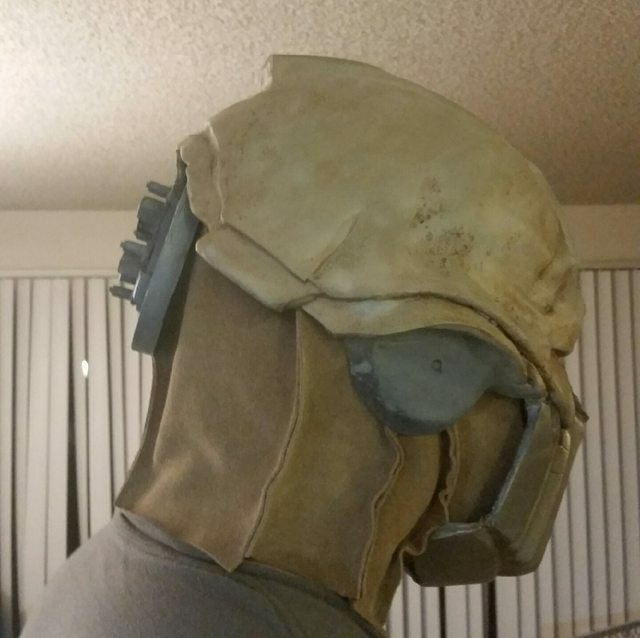 Not a lot of WIP news, but I got a solid start on the helmet. I've also got a start on the chest box. 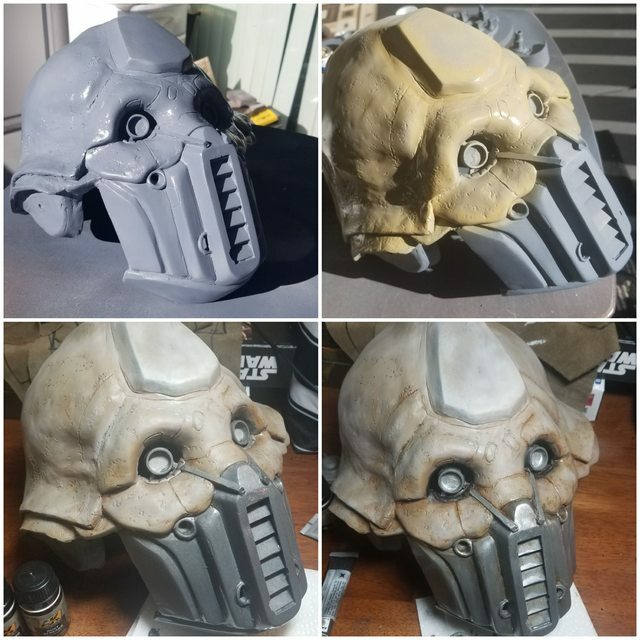 Put down a dark gray and weathered using a technical paint "streaking grime" to achieve the gunky brown. I've only noticed now, in the end, how inaccurate my flight box is, haha. /Sad Tognath. Ah well, it'll do and I'll just have to upgrade later for accuracy. Seeing as Edrio is just a stepping stone to Benthic, I'll get an easy out if I don't want to replace it. Benthic is the goal. 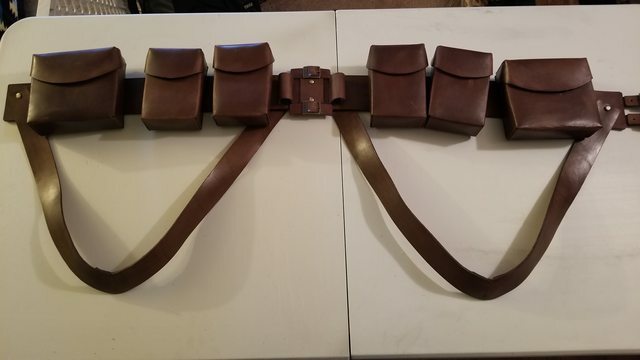 I've received word that Edrio's belt commission from Delta Leatherworks is compete! Here's a snap from his IG. Should be getting this soon! 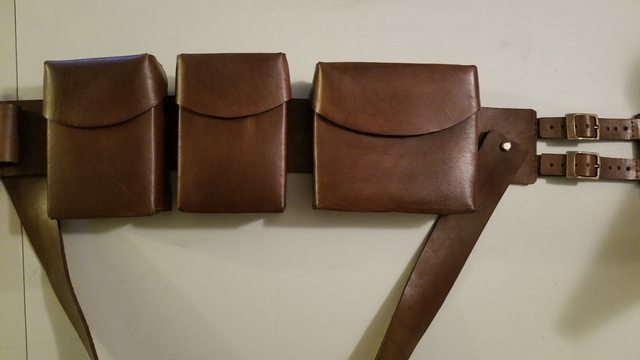 I figure since Benthics belt is the same minus a few pouches, might as well get a good looking belt to swap between the two. I'll post photos once it arrives. This is looking really great. Hey Folks, been a while, but to quote a certain Director Krennic, "The work has stalled". Here's what I'm up to, trying to solve the Two Tubes tubes conundrum. 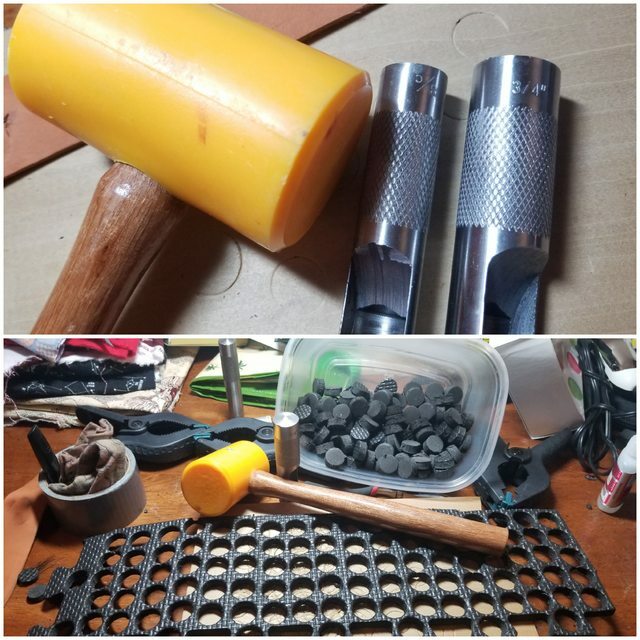 I've trashed my tube method and ordered foam mats, 3/8 inch thick, and two punches at 3/4 inch and 5/8 inch. This should be the alternating discs of the tubes. 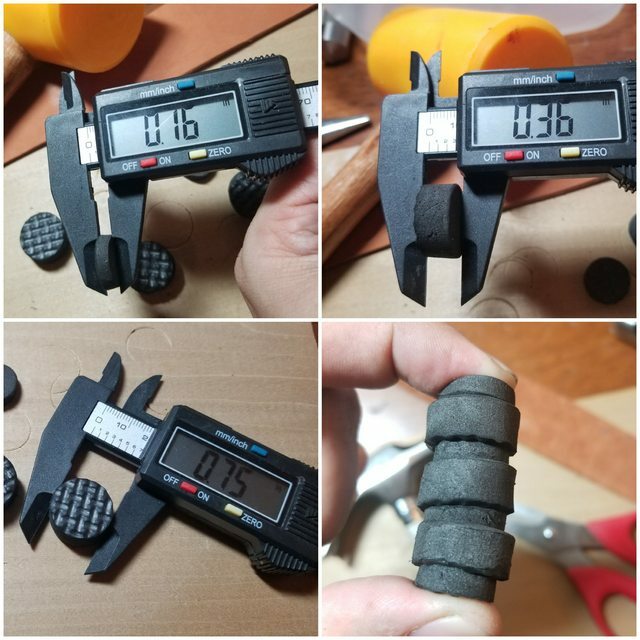 The 5/8 inch punches are from the same mat, but cut in half to accommodate the size. My next steps are to sand/dremel down the discs to clean up the rough edges caused from punching them out. Once that's done, I plan to use Plasti-Dip aerosol to lightly coat and protect the foam. After it dries, I plan to use chrome spray paint on the larger silver discs. The smaller discs will remain black. Once I thread the 'necklace' together, I will plan to lightly dull the chrome to a less reflective polish. I feel plain silver doesn't give the look I want, but a dull chrome might do the trick. If anything, the chrome will eventually dull to a flat gray after normal use. 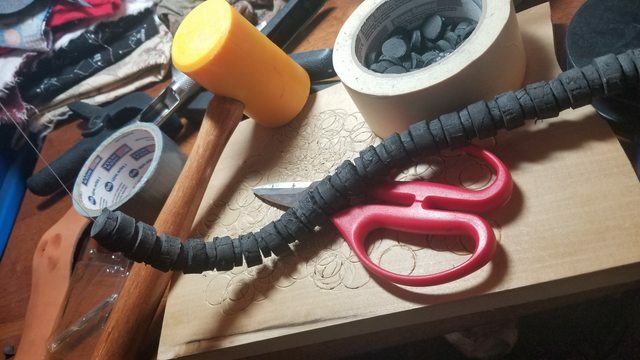 The 'necklace' method I'm doing was brought to my attention from another Two Tubes builder and already I'm liking the way to moves way more than my previously thought out tube method, and its arguably lighter and not as stiff. Looking forward to getting more time on the build, but life seems to be getting in the way. 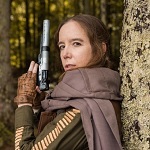 The goal is May 4th for a test run! I've been jumping around this project never really dedicating to one specific task with a variety of different methods for each piece of the kit. Got some good updates for this post though! 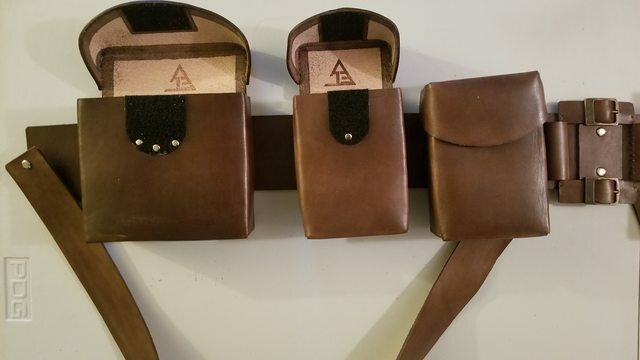 Delta Leatherwork's Edrio belt and pouches arrived this week! 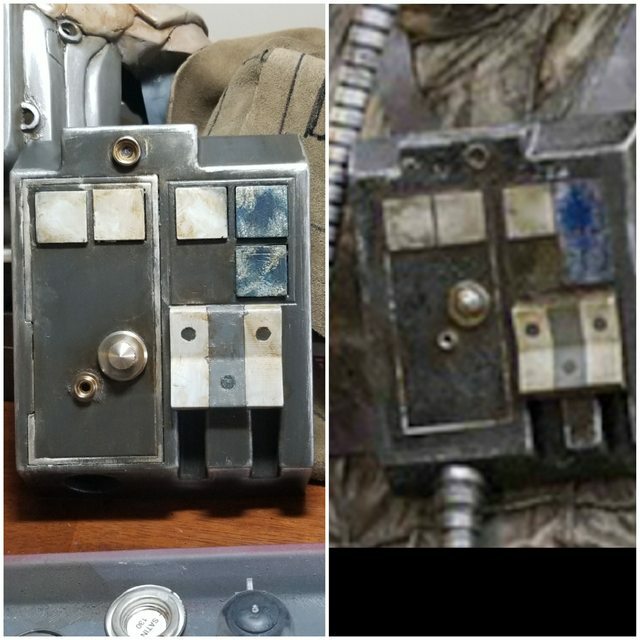 He's done the work on my Boba Fett ammo belt and holster and his work does not disappoint. I had set some leather aside to build this but decided having an actual leatherworker do the job would be infinitely better than my own and the belt carries over into Benthic too. Have a look! No WIP photos, just finished commission. On the WIP note! Two Tube's leather balaclava. 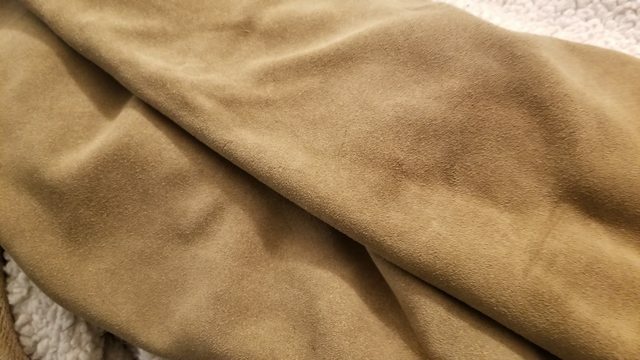 I posted earlier with the reference photos and am using a light brown suede acquired from a local Tandy Leather Factory for about $35. Credit to my wife for helping me with the tracing, cutting, pattern transfer, and sewing. She does great work, I just get to look cool wearing it. Looking forward to finalizing the ears and disc brake now that the balaclava is done! Then the tubes... still working on those and I believe I have a good update coming on progress soonish. Not totally happy with my attempts thus far, but the day will come. Your balaclava turned out great! Really loving this build, and how you are solving the problems! I am local, so I can't wait to see this in person!